1.Some people say that students should study many lessons during a semester, but others say that it is better for students to just take three or four lessons. Which do you think is better? 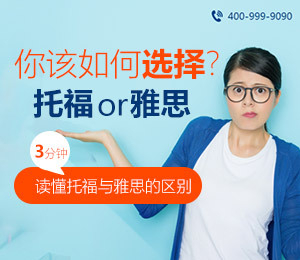 Nowadays, schools are offeringstudents a large range of courses, from traditional literacy torecently created courses, such as foreign language studies, financialmanagement, and risk management, to name a few. Some people believethat students should choose as many courses as they could, whereasothers argue that taking three or four courses one semester isenough. To my understanding, it is more appropriate to take three orfour courses a semester. Taking three or four courses onesemester could enable students to develop their own interests andbuild their social network during leisure time, so that students willbecome more versatile and outgoing in the future. Generally speaking,it is not extremely difficult for students to complete assignments ofthree or four courses a semester. Therefore, most of the studentscould have sufficient time to participate in some beneficialactivities, such as volunteering in the community, hanging out withfriends, or working out at the gym, among others. 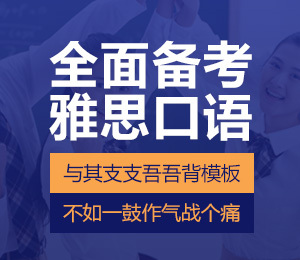 Those activities,unlike study, enable students to do things that they like and tocommunicate with people who share the same interests with them.During this process, students will enjoy developing their owninterests and build their social network, which will definitelybenefit them in the future. Moreover, choosing three or fourcourses instead of too many courses per semester could help studentsrelax and maintain a positive attitude towards life. According to arecent survey, more and more children today are suffering fromdepression because they are forced to study extremely hard. In orderto avoid this type of mental disease, students should not spend toomany efforts on academic study. In this sense, by taking three orfour courses a semester, students could have time to play and relaxduring their leisure time, so to relieve the stress caused byacademic requirements. Admittedly, taking many courses asemester, students might have the opportunity to learn moreknowledge, including useful skills and practices that are beneficialto students’ future. However, once students become tired and feelstressful, they will become less motivated in learning, which willnegatively influence their academic performance in all classes as aresult. Based on the above discussion, itis obvious that students should not sign up too many courses asemester. Taking three or four courses is more appropriate andbeneficial from the perspectives of developing students’ interestsand keeping a positive mental status. 2.Do you agree or disagree with the following statement? Technology designed to make our life simpler actually makes our life more complicated. It cannot be denied thattechnology enables people to live a better and more convenient lifetoday. People have been enjoying high-tech products such as smartphones, car navigation system, and laptops, to name a few. However,it does not mean that those high-tech tools make our life easier nowthan in the past. In fact, technology makes our life far morecomplicated today as illustrated in the following parts. High-tech tools can save lotsof labor work, but sometimes they are not as “smart” as weexpect. I would like to use car navigation system as an example. Inthe past, people could only refer to printed maps to find ways totheir destinations. Nowadays, car navigation system can automaticallyfind the right path for us. It seems that car navigation system isfar more convenient than printed maps. However, in order to installthe system, we need to download the digital maps before ahead andmake sure that our destinations are recognizable. If the system failsto recognize the destination, it sometimes does not stop navigating,but lead us to somewhere else. Once I was driving from California toa Native American Reservation in Arizona, the car navigation failedto find the right path and led me to a small town that I had neverheard of. Fortunately, I found a gas station and the employees thereshowed me the correct way. My own experience shows that high-techproducts might not be always as reliable as we expect. Another example of how technologyhas made our life more complicated is online shopping. Nowadays, moreand more people choose to shop clothes online, so to save time andefforts. Admittedly, shopping online is convenient to some extentcompared with going to a shopping mall, because we could stay at homeand check out with several clicks. All we need to do then is to waituntil our new clothes are delivered to us. However, many people hadterrible shopping experience in that the colors and designs of thoseclothes are not exactly the same as they are described online.Moreover, the size might not fit us, which is not expected either. Inthis case, we need to follow a complicated returning process,completing forms needed for returning and going to the local expressservice to send the clothes back. The process of returning isextremely daunting, which usually takes a long time for us to get ourmoney back. Based on the abovediscussion, it could be concluded that sometimes technology is not asconvenient as we expect. Should we just refuse to use high-techproducts? I do not think so. I believe that modern technology isstill developing, and it will definitely make our life more and morecomfortable and convenient in the future.